Ideally situated off Interstate 77- Americas Best Value Inn New Philadelphia is located only 2 miles west of downtown New Philadelphia and only a few miles away from Kent State University at Tuscarawas. Your affordable and comfortable guest room comes with home luxuries such as free WiFi- a mini-fridge- 32 inch flat panel cable TV- ESPN- table with chairs- and free local calls. Accessible rooms are also available. Children 17 and under stay free when accompanied by an adult. A limit of two pets are welcome for a small per pet charge. Start your day off right with a cup of complimentary coffee available in the lobby. Our numerous on-site amenities include a guest laundry facility- ice and vending machines- picnic area with tables and barbecue grills- and truck parking. Enjoy a refreshing swim in our seasonal outdoor pool- open from May through September. Americas Best Value Inn New Philadelphia is near such local attractions worth checking out as Warthers Carving Museum and Shoenbrunn Village. A variety of dining establishments are within walking distance- including Dennys- El San Jose Mexican Restaurant- and Texas Roadhouse- to name only a few. At Americas Best Value Inn Philadelphia- We have Got You Covered from the time you hit the road until your head hits the pillow. 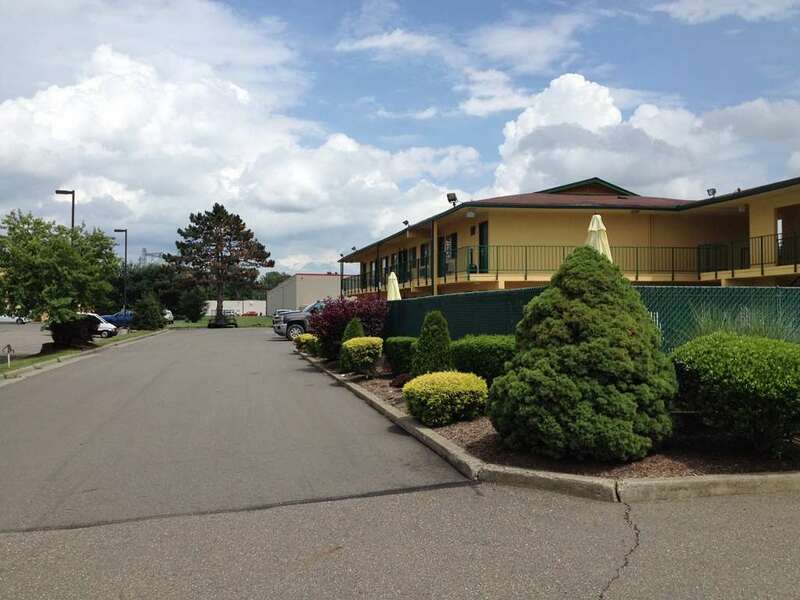 Ideally situated off Interstate 77- Americas Best Value Inn New Philadelphia is located only 2 miles west of downtown New Philadelphia and only a few miles away from Kent State University at Tuscarawas. We are near such local attractions worth checking out as Warther*s Carving Museum- Riverfront Antique Mall- and Shoenbrunn Village. Our address is 181 Bluebell Drive SW- New Philadelphia- OH 44663. Reconstructed wax noggin of William Clarke Quantrill, Civil War commando, is kept in a fridge by the historical society. ~17 miles from New Philadelphia.